Did you know your menstrual cycle is connected to the phases of the moon and you can enjoy greater health and vitality by practising specific yoga sequences for every changing stage in your monthly cycle? 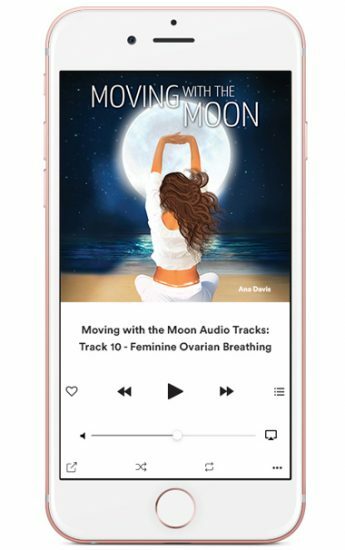 Moving with the Moon is a comprehensive ‘health bible’ for women and will help you fall in love with your monthly and life cycles. It showcases a huge repertoire of yoga postures, sequences and tips on therapeutic modifications and prop use, all overlaid with a passionately nurturing and self-sustaining approach to yoga and self-care. The director and founder of Bliss Baby Yoga offers you a deeper understanding of your cycling body, helping to balance your hormones and your life, and empowering you with dedicated practices to boost your health, energy and wellbeing as a woman. It doesn’t matter what age you are; you will gain valuable tips and inspiration on therapeutic practices to give you more energy and vitality—whether you are a younger woman or are blossoming into menopause, the ‘second spring’ of your life. The monthly cycle: what’s actually going on? Is PMS all in your head? 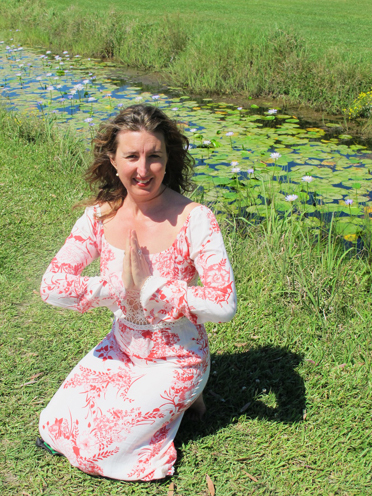 Click here to listen to Ana’s recent podcast interview with Pregnancy Birth and Beyond Radio on “Yoga for Menstruation and Perimenopause”. “Thank you thank you thank you Ana for the treasure you have created. This book should be read by all women to once again harmonize ourselves with our natural rhythms. 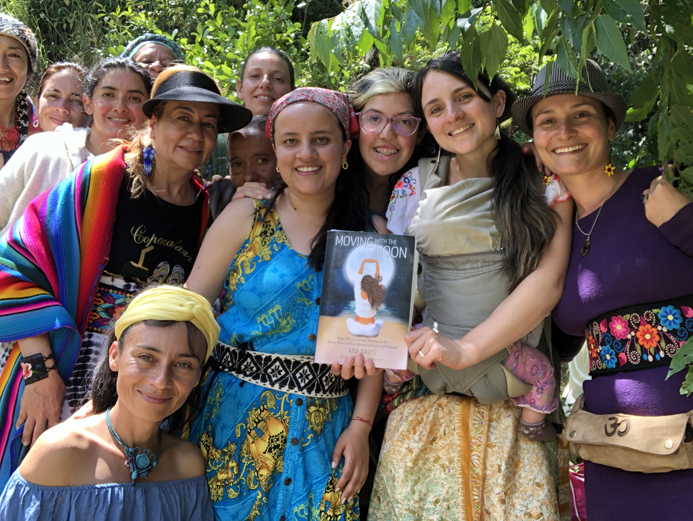 We gathered on Juliet’s Balcony (on a sacred mountain in Colombia, South America! 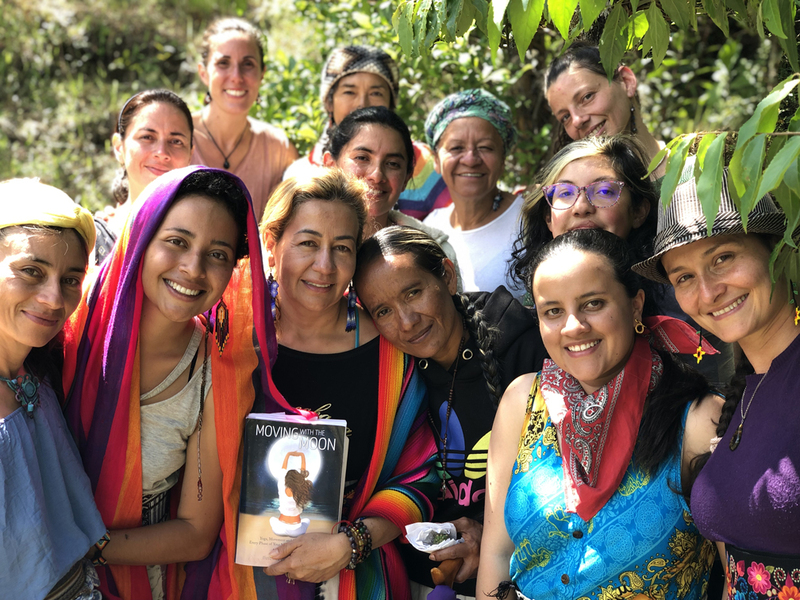 ), a space by women and for women to connect with themselves, Mother Earth and the Moon. We shared the wisdom of this book and talked about our experiences with our lunar rhythms, emotions and creative forces. Women of all ages and backgrounds coming together (including my 4 month old daughter!!) to share knowledge and find out we are all so similar at our core. It was beautiful. It was powerful. It was simply amazing. The change in our world will happen through the women. Let’s continue to gather, share and learn. And of course, believe in ourselves!!! 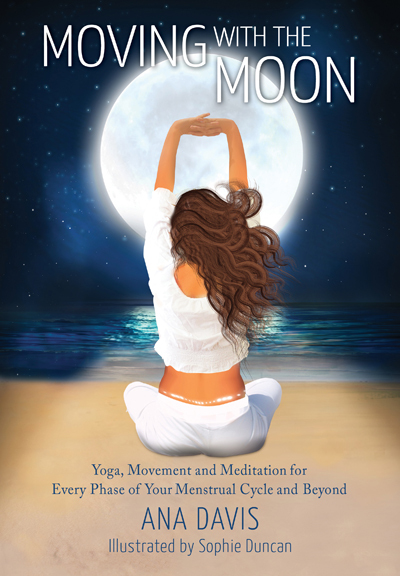 Moving with the moon is a creative and empowering process of adapting, changing, and crafting a feminine yoga practice from day to day. Just as the moon waxes and wanes, this book will unfurl and deepen your connection to the internal rhythm within your body. 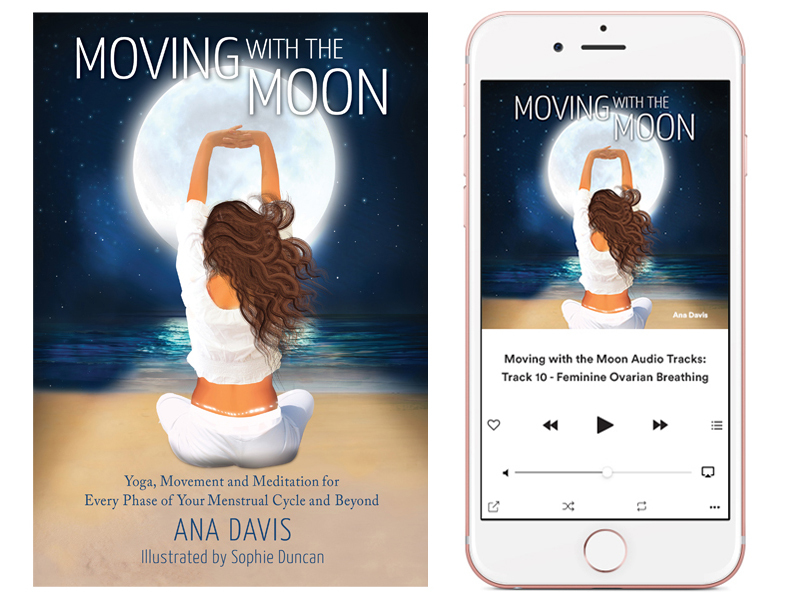 These 22 Audio Tracks are an optional add-on to accompany Ana Davis’s book Moving with the Moon: Yoga, Movement and Meditation for Every Phase of Your Menstrual Cycle and Beyond. Practise along with Ana Davis as she guides you through relaxing and healing meditations, visualisations, deep relaxation and breathing practices that are designed especially for each phase of your menstrual cycle. These lush feminine-yoga practices are also beneficial for your perimenopausal and menopausal phases and for supporting optimal fertility. —Eve Grzybowski, Senior Yoga Teacher and author of Teach yourself Yoga and The Art of Adjustment. 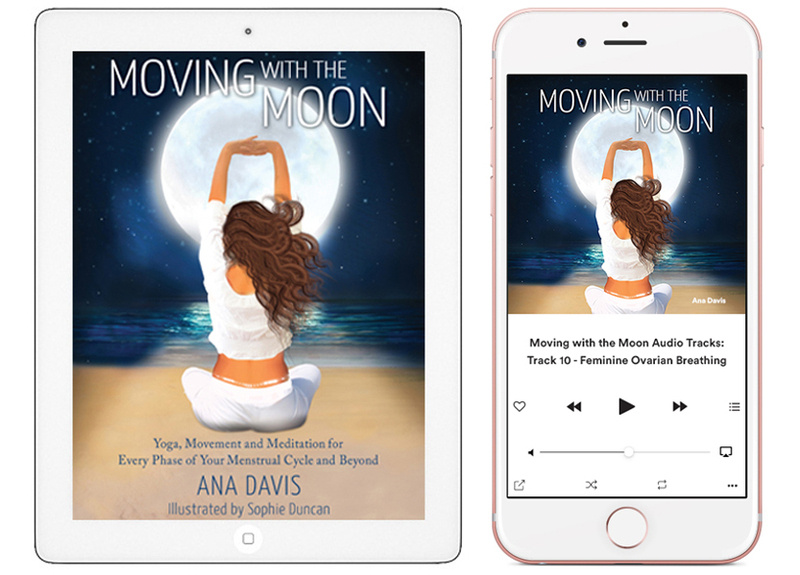 (The Moving with the Moon Audio Tracks are available as a stand-alone purchase, or in conjuction with the Moving with the Moon print book or e-book). A Complete Guide to Yoga for your Menstrual Cycle and Menopause. Choose from 4 purchase options below. Please feel free to email us if you experience any technical difficulties when making your purchase. Order your print-book or Ebook online below, or click here to find a local stockist. 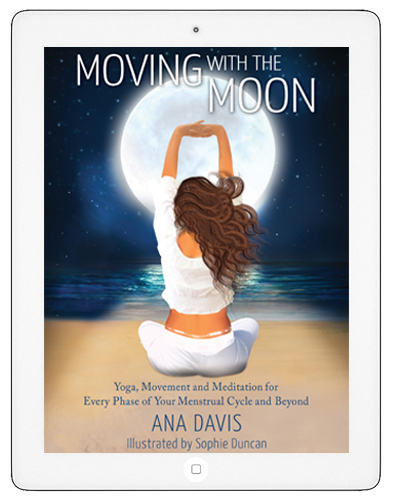 *Add on the ‘Moving with the Moon’ E-book at the check-out to complete your print + E-book set and receive a 15% discount off the full E-book price. *Add on the ‘Moving with the Moon’ print book at the check-out to complete your print + E-book set and receive a 15% discount off the full print book price. If you have already purchased the ‘Moving with the Moon’ print-book please contact us for your 15% discount code for your purchase of the ‘Moving with the Moon’ E-book.